Cat lovers take their admiration and extreme appreciation for felines to the next level. Their fur babies are much more than pets, they are family. While it may be tough for some to truly grasp the passion these folks have, cat lovers totally understand each other, even if they don’t quite get some of their cats’ (let’s face it, true cat lovers can’t have just one) antics. 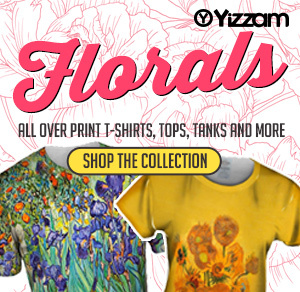 In an ode to those who love their pets more than they ever thought possible, this collection is full of some of our funkiest and trendy cat designs. There’s something for everyone here, except maybe dog lovers. You call it a beach, your cat thinks it’s a giant litter box, but either way, it’s a beautiful place to spend some time outdoors. 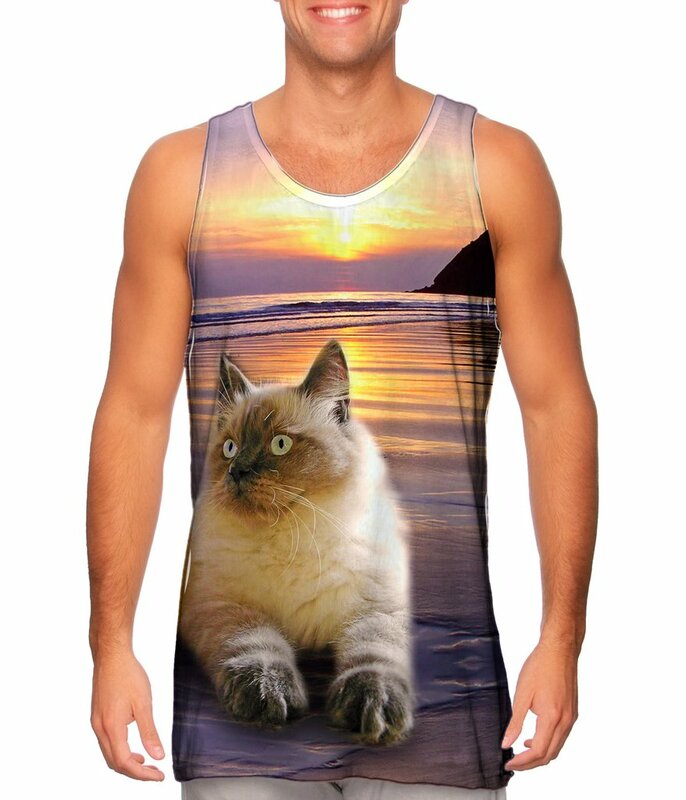 Spend some time with your kitty outside as you combine your love of the beach and cats in this comfortable Mens tank top. The eyes say it all in this gorgeous print of the beautiful Siamese. It’s impossible to resist this distinctly recognized breed of Asian cat. Elegant and sophisticated, this design goes from day to night and is perfect for any occasion. 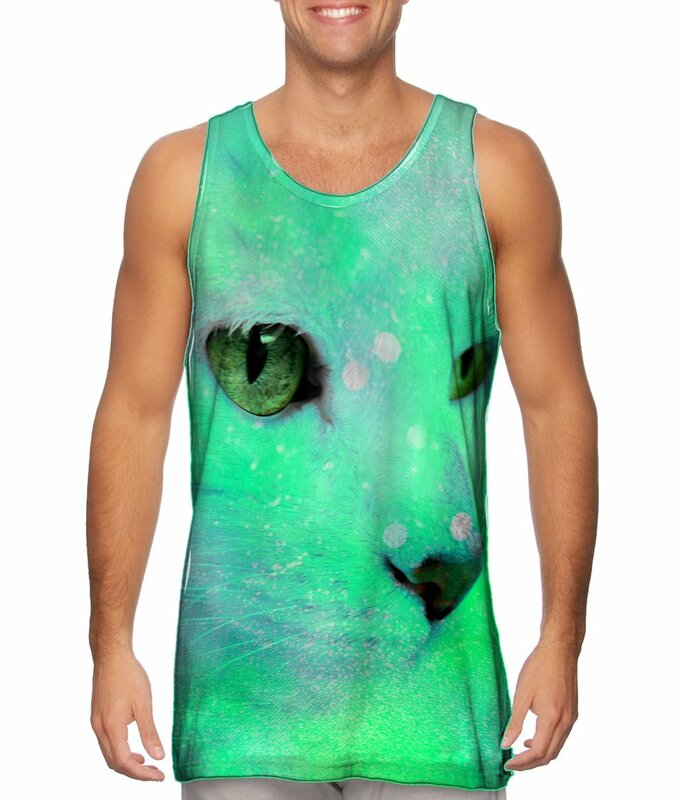 Don’t forget sunblock when you head to the beach in this comfy all over print top sporting the infamous hairless cat. 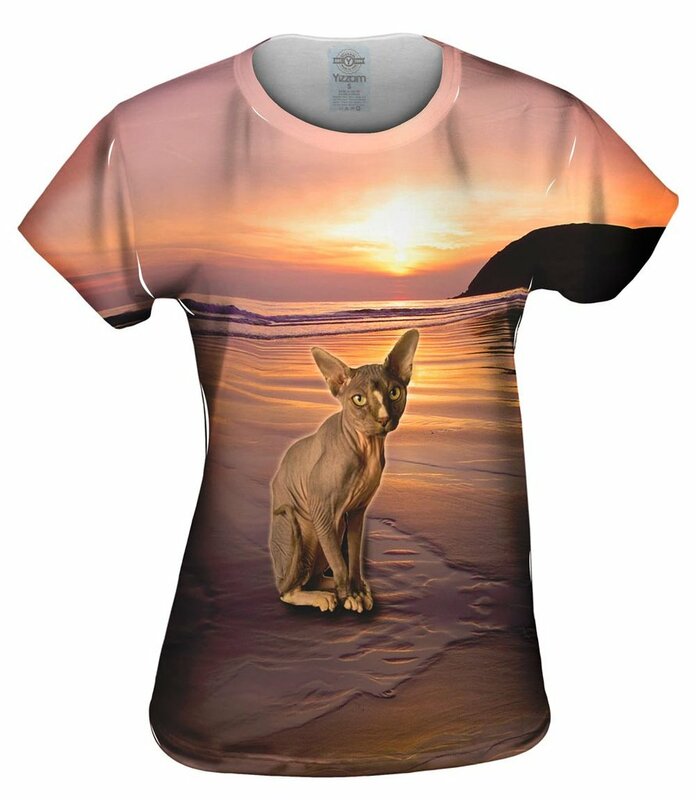 Sunsets and Sphynx cats go together like your favorite pair of jeans and this trendy print. Comfortable and trendy, this top is perfect for a night out after a day at the beach, too. 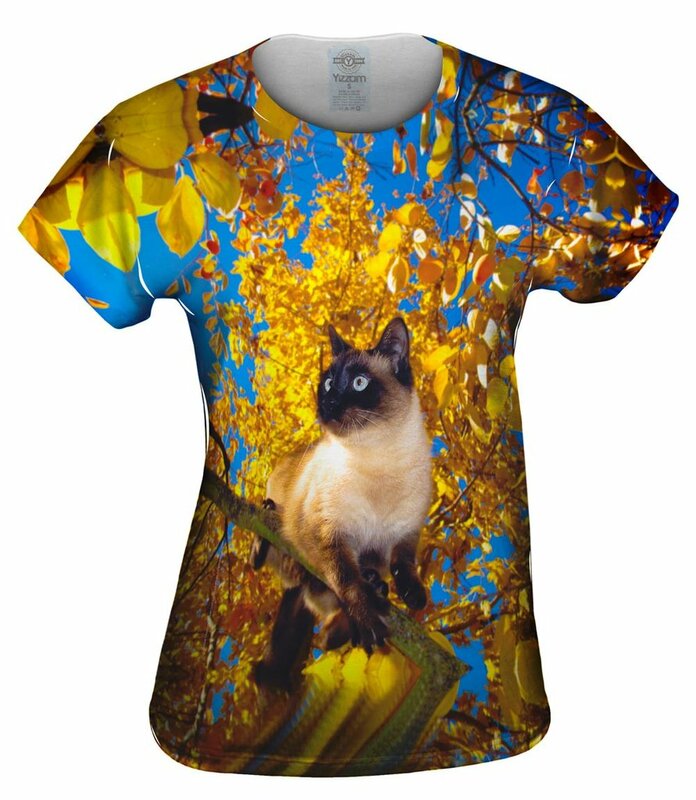 Although it’s a cat owner’s nightmare, this tree climbing Siamese kitty makes for a beautiful print that goes with anything. Keep the fire department at bay – wear this shirt as you cuddle with your fur baby safe in your arms. From a kitten in sunglasses to two-toned studious-looking beauties, this design is one of the better ways to sport your passion for kitties. 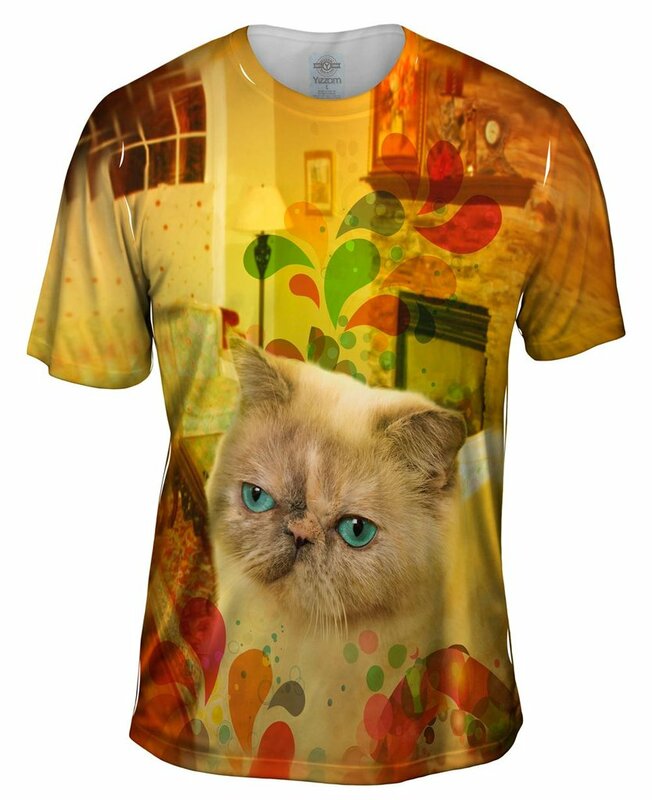 An all over print mens t-shirt, this design full of various cat breeds being silly, is the ideal choice for music festivals, film festivals, or cat lover’s festivatls. As odd as it is sophisticated, this sphinx in a sweater print is everything you need for your wardrobe. It looks great on its own or with a cardigan. It also pairs well with a cup of coffee at your local cat café. Get ready for compliments galore! When it comes to showing your love for cats, there’s no need to hold back. 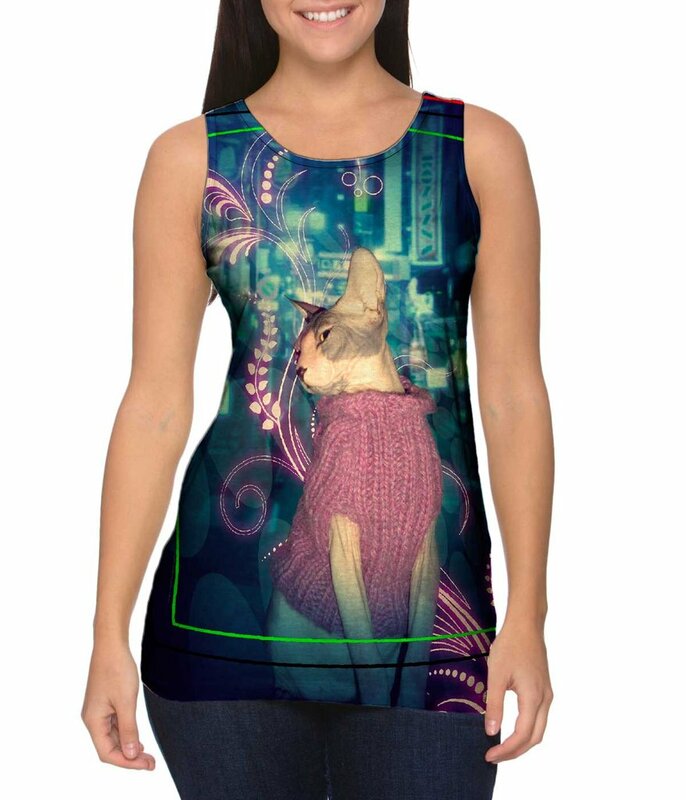 Wear your love proudly in the best way by going big in an all over cat face tank. Everything from the color to the print makes this design an absolute wardrobe essential. 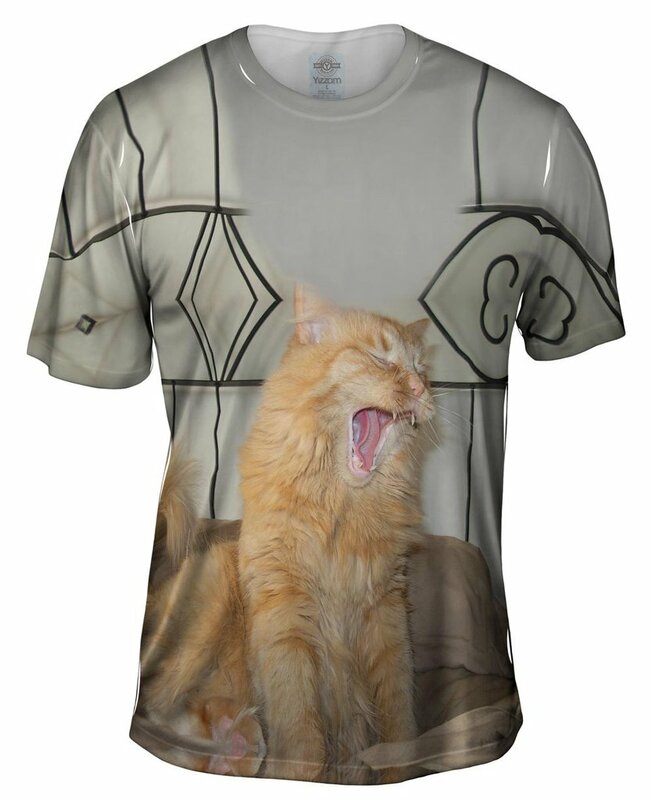 While your beloved cat is sleeping the day away on your bed, you can be out and about in this adorable print of a white cat yawning. Imagine being home snuggling with your fur baby as you wear this everywhere you go. When you get home, they will probably find it and sleep on it. 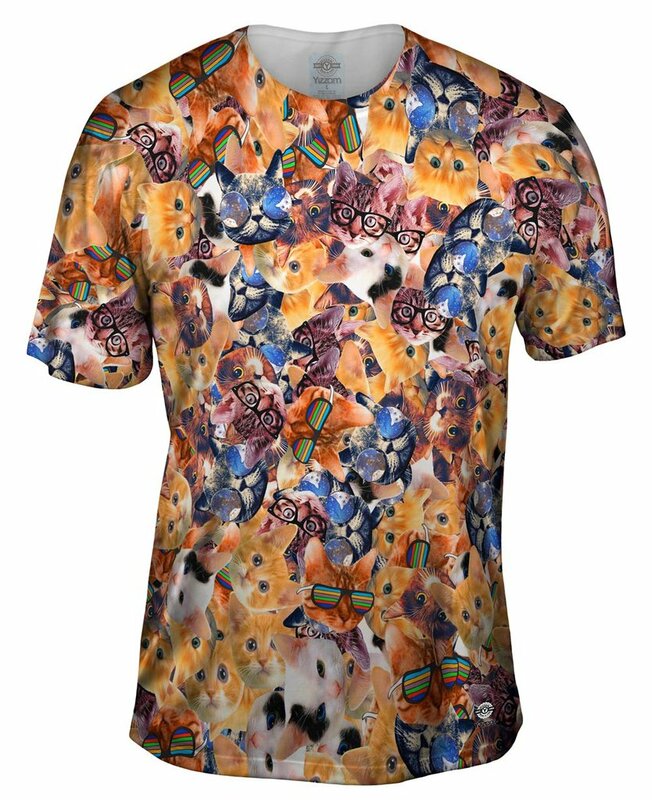 They say cat lovers are extremely intelligent so it’s no surprise why this Wise Exotic cat all over print t-shirt is so popular. 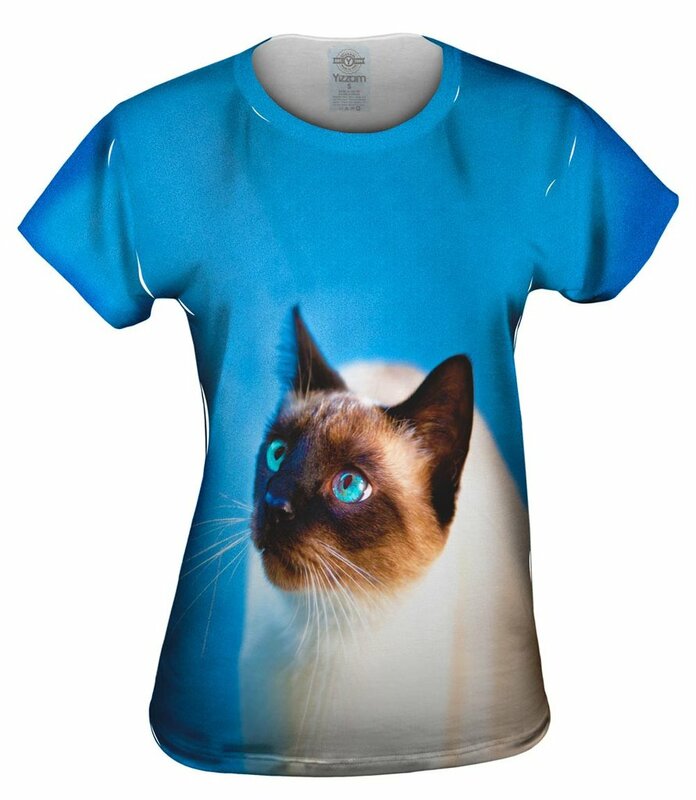 The colors and expression on the cat’s face make this one a must-have for every cat lover. Look smart when you pair this with a sport jacket and cool sneakers.